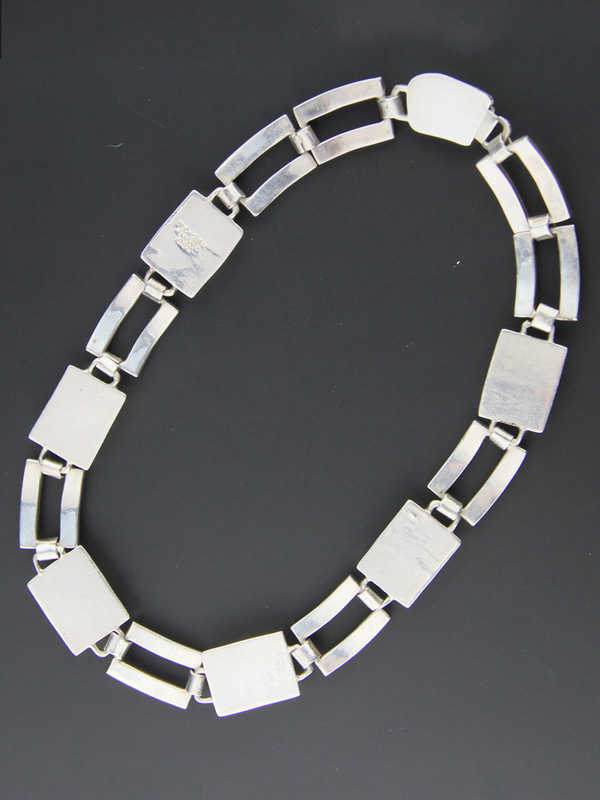 Amazing modernist handcrafted link necklace. 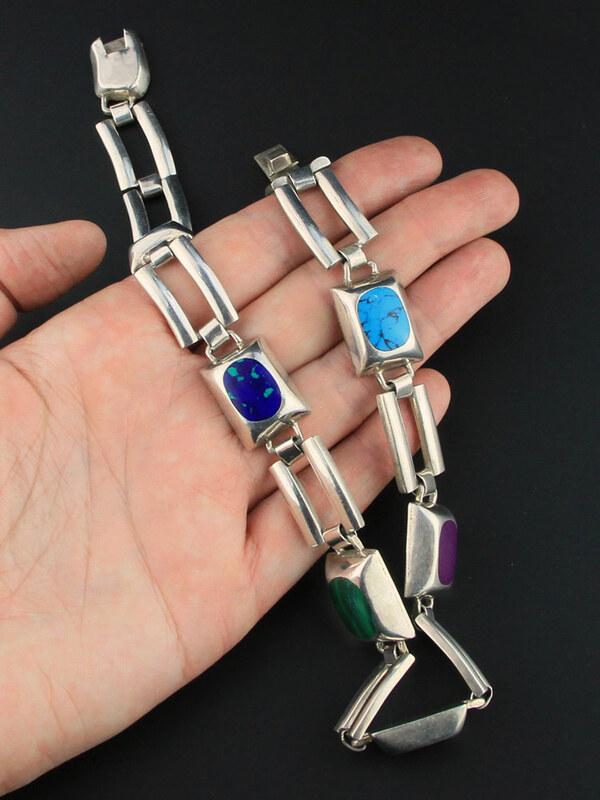 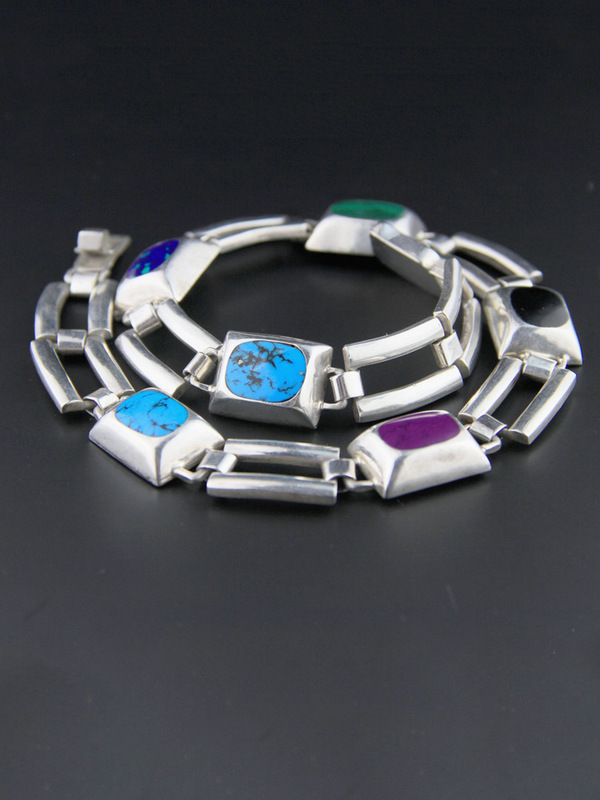 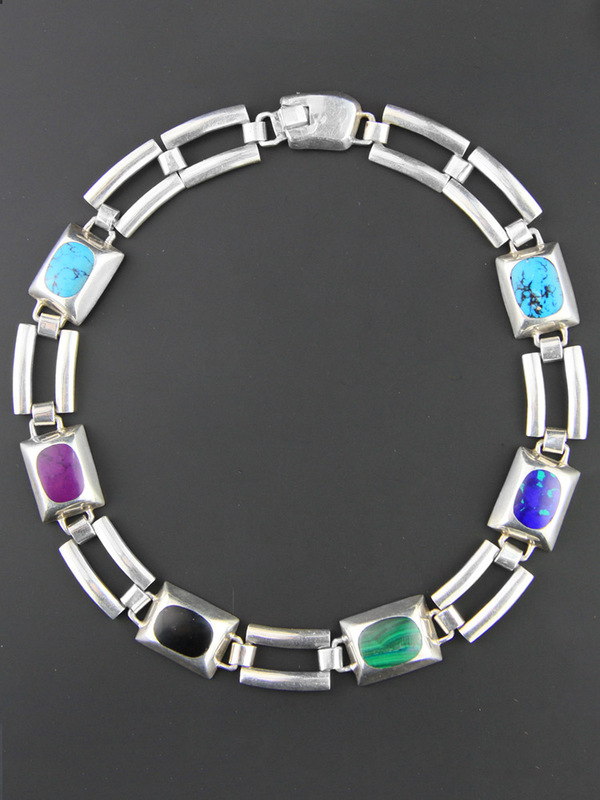 Handmade in Taxco, Mexico circa 1980, this is nine chunky open links with six smooth bezel set pieces of (stabilised) azurite, turquoise, sugilite, onyx and malachite. 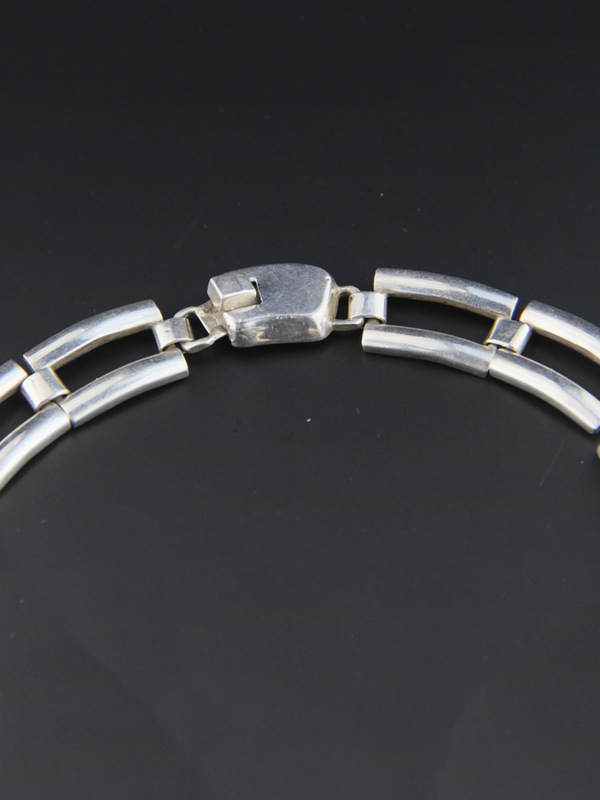 Made from 950, higher than sterling silver. 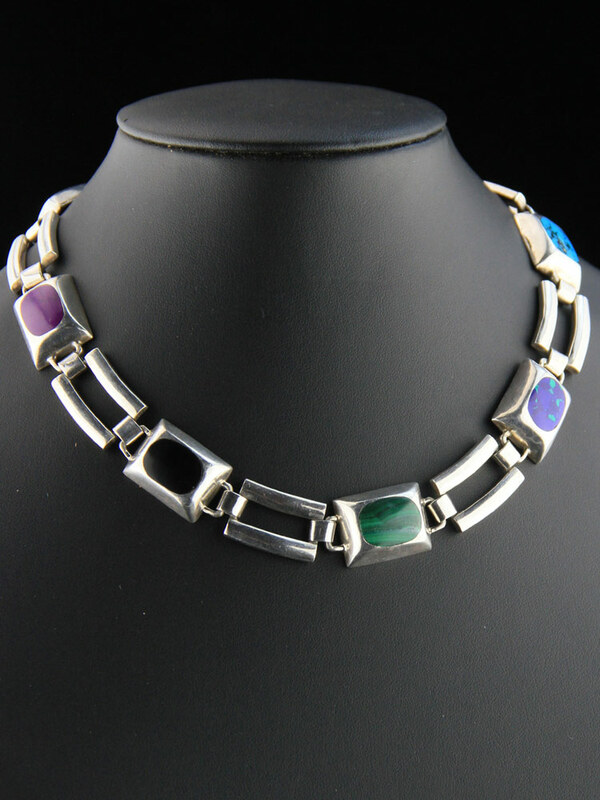 This in a unusual necklace, sits close to the throat in lovely articulated circle, a secure tab clasp, and a lovely gauge of silver - very nicely made vintage necklace.